Molded Urethane Guide Rollers – Weaver Industries, Inc.
From a molten liquid state, polyurethane may be fabricated or molded into low-density flexible foam, low-density rigid foam, soft solid elastomers (gel) and hard solid plastics. Valued primarily for its uses in rigid and flexible memory foams, molded urethane is extremely useful in solid plastic form as well. Molded urethane combines many of the desirable qualities of plastic, rubber and metal with a longer service life than plastics, higher impact resistance than rubber, and better noise reduction and resilience than metals. In addition, molded urethane possesses several advantages over other elastomers and materials, such as higher abrasion, cut, tear, oil, ozone and radiation resistance, heavy load bearing ability and a broad hardness range. 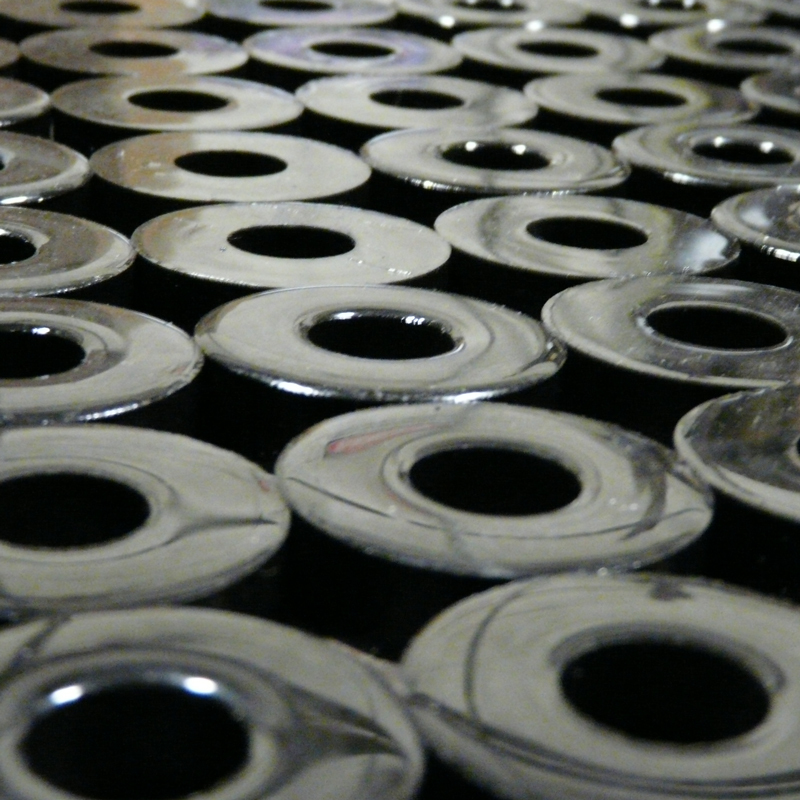 Molded urethane products include a wide variety of hydraulic and pneumatic seals, pressure pads, shock absorber bushes, machine couplings, conveyor belt scraper blades and parts for a broad spectrum of industries such as construction, automotive, mining, engineering, food processing and athletic equipment. 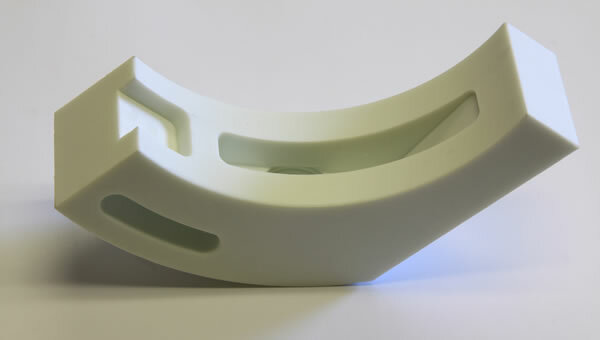 The raw materials of polyurethane exist in a liquid state, which allows for easy mixing and measuring in preparation for molding, which may be open casting or closed casting. Raw materials react with one another to form a pre-polymer, then during the urethane molding process, a curative is introduced to the pre-polymer in order to complete the polymeric transition. Accelerated by heat and/or pressure, the mixture is poured into a mold cavity and cured to form the final polymer. During open urethane molder processes, the pre-polymer and curative are heated and mixed together, poured into an open cavity and cured without the application of pressure. Molded Urethane Rollers and Components – Unicast Inc.
During closed urethane molder processes, the pre-polymer and curative are heated and mixed together, then injected into the closed cavity through small holes. An example of a type of molded urethane is foam molded urethane, which is commonly used to make soundproof insulation for the residential industry. Since urethane has thick section molding, low pressure tooling capabilities and a castable nature, the cost of molded urethanes is on par with the cost of rubber and typical polymer molding, giving urethane molders an economic advantage over rubber and plastic molders as well. Molded Urethane Molded urethane, technically referred to as molded polyurethane (or PU), is an elastic polymer, or elastomer, containing urethane carbamate links.